Chopsticks is one of the few Asian restaurants on Turks and Caicos but is essentially an airport terminal food court “Wok and Roll” level Chinese restaurant. They charge a $10 delivery fee and it still took an hour to get the food, on top of that, the portions are small and expensive. The Dumplings: they sell steamed pork, chicken, prawn and vegetable dumplings, although the chicken ones are listed as momos and the others are listed as dim sum. They come four to an order and run between $10 and $14 per order. The menu in the tourist dining guide that is handed out at the airport depicts what looks like soup dumplings in a bamboo steamer, but I think this is more aspirational than real. 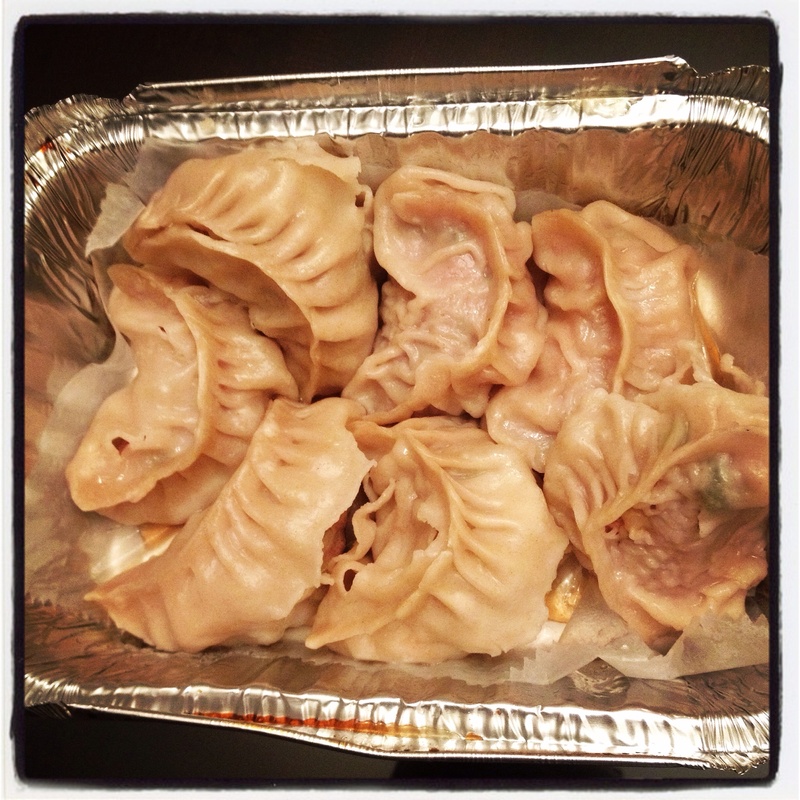 Do not order their dumplings for delivery, by the time they got to us the wrappers had started to fall apart and had adhered themselves to the bottom of the to-go container. To eat the pork dumplings I had to resign myself to eating deconstructed dumplings; the naked pork meatball filling and chunks of thick rubbery wrapper. The vegetable dumplings were impossible to get out of the container in one piece and disintegrated into a sort of vegetable hash. The vegetable dumplings were vegan, but considering the quality, they get no points for that. The Sauce: The dumpling sauce appeared to be soy sauce with some sesame oil floated on top. They sent me one tiny container for two orders of dumplings. The Location: Chopsticks is located in Grace Bay on Sandcastle road near the The Seven Stars Resort, it is behind the Grace Bay Gourmet grocery store. This entry was posted in Chinese, Pork, Vegan. Bookmark the permalink.